These pictures were taken in Mont-Tremblant in 2011. Current status unknown. I'm Romanian and I live in Montreal and when I was a kid in Romania those cars were everywhere. I know they've been sold here in the 80s and I've been looking for a long long time to find a Dacia for myself to buy and restore. This one is amazing! Do you know anything more about this car? Is there any way to find it? Is it even still alive? I'd really like to see it up close. Any information about any Dacia would be great! photographer but have not gotten a reply as of yet. cars. Luckily, they exist and are dirt cheap! Are you the guy who messaged me on Flickr? I'm not sure if I messaged you on Flicker, I think I messaged you on Facebook. I also messaged the photographer and he told me that he sees it there every summer. He saw it last summer too and if he sees it this summer he'll talk to the owner. Do you know the address of this scrap yard that has 2 Dacias for sale? I'd be interested to go check them out. I don't have the budget for a restoration right now but I'm hoping I could at least save one from the crusher and that I might afford to keep it in storage and try to fix it up slowly. In Romania they have a vehicle renewal program going where if you scrap your old car they give you a coupon that cuts 1/3 off the price of a new car you buy and with 3 coupons you can get a new car for free, so there's a lot of people who scrap their old Dacias or who buy old Dacias just to scrap them to get these coupons. Now even there these cars are becoming a rare sight. 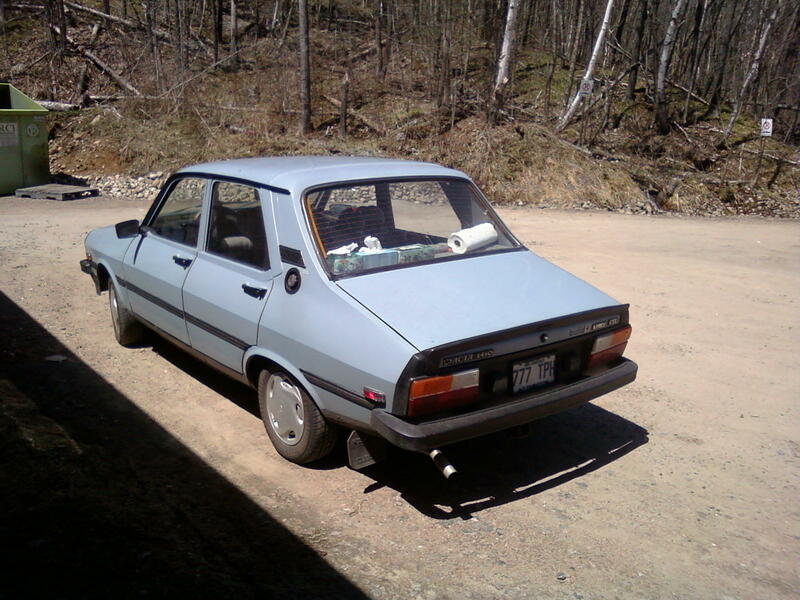 Fortunately a friend of a friend owns one of those places that crush old cars over there so I'm hoping he might hook me up with parts for my Dacia, if the overseas transport won't kill me. I heard that a scrap yard close to where I live might have one so I'll call tomorrow to see if they still have it. 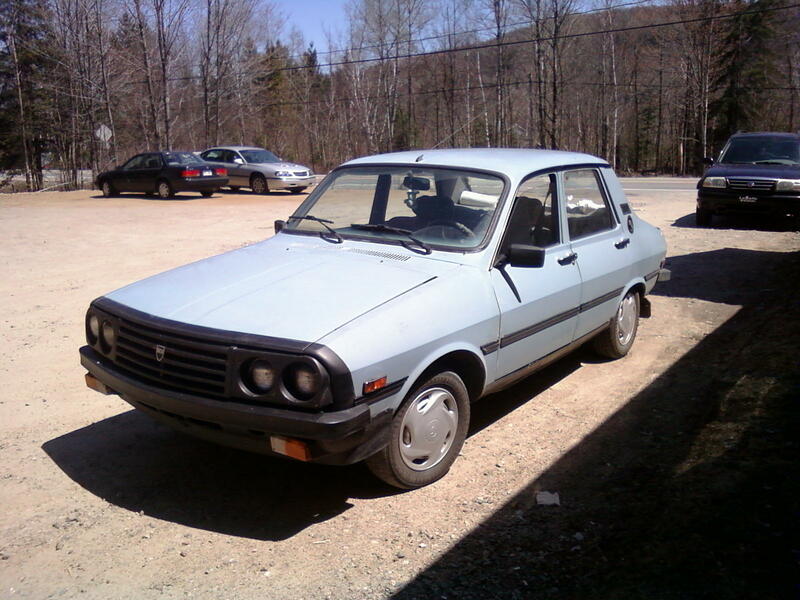 I wonder what parts from renault 15 or 17 might fit on a dacia-a renault 15/17 probably rarer than a dacia in north america at this point,but parts might be easier to obtain. Lol, I don't know who I messaged, some of the pictures on the forum led me to someone's facebook somehow. Anyway, what about those 2 dacias in a junk yard? Do you have an address a phone number or anything? About the Renault 15/17, I'm not sure but some parts should match. It looks like the headlights on the 15 are the same with the Dacia and the front fenders are almost identical. Would be awesome to put the front end of a Renault 15 on a 2 door Dacia Sport, a real Romanian muscle car lol. You did e-mail me on my Skoda site. Why ask about the Renault 15/17 and not the 12? You are right-the R12 is closer to the dacia than the 15 or 17,i was thinking the 12 had a front/mid,flywheel forward engine mounting like the 16,but i checked and the 12 is same as dacia;front engine- flywheel rearward...I'd better study up on my french LOL. I'm Romanian and I live in Montreal and when I was a kid in Romania those cars were everywhere. I know they've been sold here in the 80s and I've been looking for a long long time to find a Dacia for myself to buy and restore Prêt immobilier. This one is amazing! Do you know anything more about this car? Is there any way to find it? Is it even still alive? I'd really like to see it up close. Any information about any Dacia would be great! I love the car! She reminds me of my father's when he was young. In addition well maintained. That's cool, Claricia. Do you remember which model your dad drove? The same one?